The following information is drawn from letters received from prisoners in Administrative Detention at Menard Correctional Center in Menard, Illinois, and compiled on Jan. 25 by Attorney Alice Lynd. Menard Correctional Center, built in 1878, is the largest maximum security prison in the state of Illinois. 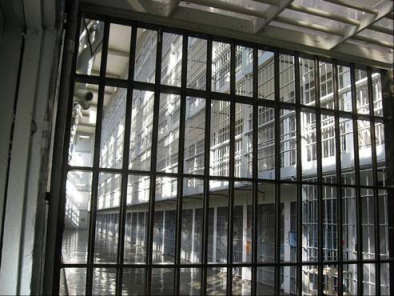 A 2011 report depicts the prison as decrepit and overcrowded. “I, along with approximately 20 other captives, filed our individual grievances and declared a hunger strike this 15th day of January 2014. The number may be higher,” writes one of the hunger strikers. Each of these statements comes from one of the nine letters received by Attorney Lynd since her first update on Jan. 21. Cells at Menard, designed for one but often housing two men, are less than five feet wide, with most of that width being take up by the bunks. Attorney Alice Lynd can be reached at salynd@aol.com.